This is not a typical edition of the All About Jack podcast. Most of my shows are interviews with authors about a book completely focused on C.S. Lewis or one of his friends. 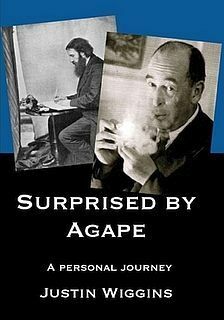 This program features an interview with Justin Wiggins about his autobiographical book entitled Surprised by Agape. As you will hear in the interview (and notice from the book cover), C.S. Lewis had a profound impact on his life. This brief work also shares how George MacDonald and the music of Switchfoot also played a role in his life; which included struggles that Justin had with unbelief and suicidal thoughts. 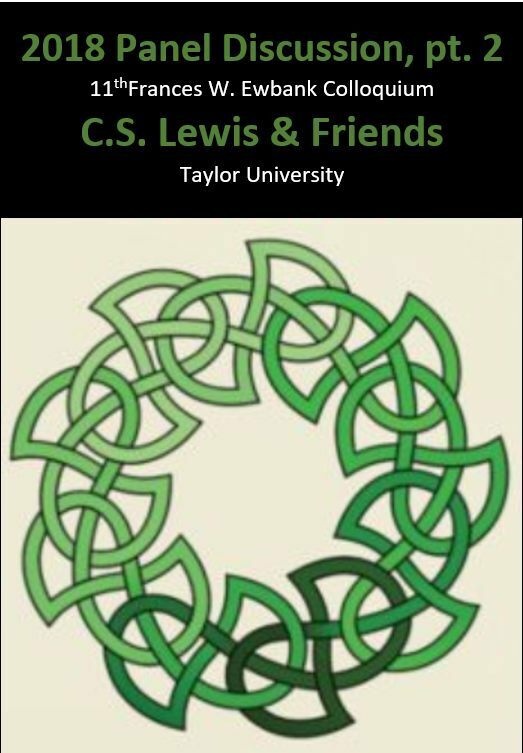 Here's another podcast featuring content from the recent 2018 Taylor Colloquium. This time it's highlights from two keynote addresses. This one features about ten minutes each from Stephen Prickett and Charlie Starr. Prickett's topic was "Informing the Inklings: C.S. Lewis's Debt to George MacDonald." Starr spoke on "From The Faun's Bookshelf: Myth and Meaning." Four other talks were given and will be shared as well; the notes below will be updated with links to them when they are available. Below are links to the two-part panel discussion. IN THIS REPEAT: The first part of the 2018 Taylor panel discussion. 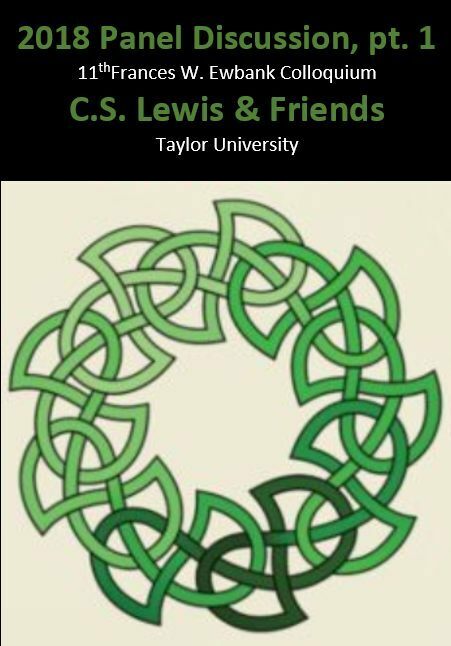 What follows is the second and final part of the panel discussion that was originally recorded as part of the Lewis and Friends Colloquium held at Taylor University (Upland IN) May 31 – June 3 2018. The Biennial colloquium attracted over 150 participants for keynote lectures, paper presentation, workshops, round-table discussion, and creative presentations on the theme “The Faithful Imagination.” Joe Ricke moderated the session with the these keynote speakers: Stephen Prickett, Crystal Downing, Joe Christopher, Crystal Hurd, and Charlie Starr. The remaining questions from Joe Ricke is shared, along with three questions that came from the audience. ALSO, at the end of this podcast I share some audio from a special session that discussed an unpublished story from C.S. Lewis entitled "The Quest for Belharis." IN THIS REPEAT: Discussion about The Silver Chair movie from August, 2016. We do know a little more since this time. The director did an interview over at NarniaWeb.com last month (Aug. 2017). This podcast is a discussion of The Silver Chair movie that explores what we know at this point (August 2016). Guests are Dr. Devin Brown, Paul Martin and Brain Carnell. 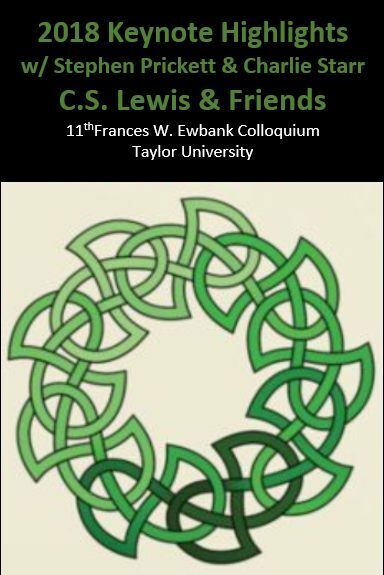 What follows is the first part of the panel discussion that was originally recorded as part of the Lewis and Friends Colloquium held at Taylor University (Upland IN) May 31 – June 3 2018. The Biennial colloquium attracted over 150 participants for keynote lectures, paper presentation, workshops, round-table discussion, and creative presentations on the theme “The Faithful Imagination.” Joe Ricke moderated the session with the these keynote speakers: Stephen Prickett, Crystal Downing, Joe Christopher, Crystal Hurd, and Charlie Starr. Even though each of these individuals were all present in the auditorium where the event was held, some did have to share a microphone and so, on occasion, the audio quality is briefly not as clear. Here's the final show in my series about how Lewis already worked through the issues the "new" atheists bring up. This is the last in a series of eight shows on C.S. Lewis vs the New Atheists. In addition to having the author of the book (Peter S. Williams) with me (William O'Flaherty), I am also joined again by Peter Byrom to help co-host. Today's discussion is about the forth chapter of the book. If you haven't listened to last week's show then follow the link below to hear it. This final show covers "Conclusion: First Things First" and summaries a few major points in the series. IN THIS REPEAT: Here's the 7th of eight shows dealing with atheism and C.S. Lewis. This is the next to last in a series of eight shows on C.S. Lewis vs the New Atheists. In addition to having the author of the book (Peter S. Williams) with me (William O'Flaherty), I am also joined again by Peter Byrom to help co-host. Today's discussion is about the forth chapter of the book. If you haven't listened to last week's show then follow the link below to hear it. This seventh of eight episodes covers "Jesus in the Dock." IN THIS REPEAT: Learn how goodness is a problem for Atheists in this sixth of eight shows from the book C.S. Lewis vs the New Atheists. This is the sixth in a series of eight shows on C.S. 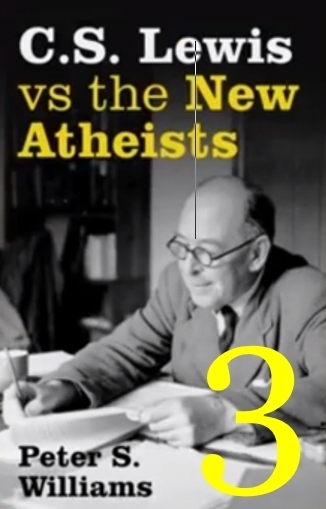 Lewis vs the New Atheists. In addition to having the author of the book (Peter S. Williams) with me (William O'Flaherty), I am also joined again by Peter Byrom to help co-host. Today's discussion is about the forth chapter of the book. If you haven't listened to last week's show then follow the link below to hear it. This sixth of eight episodes covers "The Problem of Goodness." IN THIS REPEAT: Here's the fifth of eight about CSL vs. the New Atheists. This is the fifth in a series of eight shows on C.S. Lewis vs the New Atheists. In addition to having the author of the book (Peter S. Williams) with me (William O'Flaherty), I am also joined again by Peter Byrom to help co-host. Today's discussion is about the forth chapter of the book. If you haven't listened to last week's show then follow the link below to hear it. This fifth of eight episodes covers "The Argument from Reason." (Re-Post) C.S. 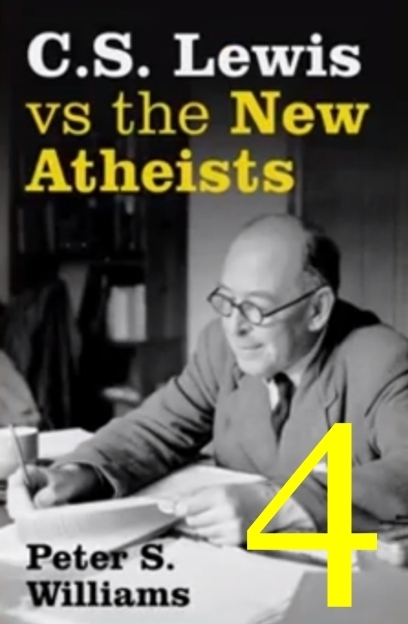 Lewis vs the New Atheists #4 - A Desire for Divinity? Do we really desire divinity? That's the topic for the fourth of eight shows in a series on C.S. Lewis vs the New Atheists. This is the fourth in a series of eight shows on C.S. Lewis vs the New Atheists. In addition to having the author of the book (Peter S. Williams) with me (William O'Flaherty), I am also joined again by Peter Byrom to help co-host. Today's discussion is about the third chapter of the book. If you haven't listened to last week's show then follow the link below to hear it. This fourth of eight episodes covers "A Desire for Divinity?" IN THIS REPEAT: Here's the re-release of the third show focusing on the book C.S. Lewis vs the New Atheists. This is the third in a series of eight shows on C.S. Lewis vs the New Atheists. In addition to having the author of the book (Peter S. Williams) with me (William O'Flaherty), I am also joined again by Peter Byrom to help co-host. Today's discussion is about the second chapter of the book. If you haven't listened to last week's show then follow the link below to hear it. This third of eight episodes covers "The Positively Blunt Sword of Scientism."